At the University of North Texas G. Brint Ryan College of Business, we take education seriously. We give you the training and experience needed to stand out in your field. Built for the future, our state-of-the-art Business Leadership Building stands as physical proof of our commitment to providing a high-quality education. We’re the choice of nearly 5,800 students and one of the largest business schools in the nation. Since 1961, our college has been continuously accredited by the Association to Advance Collegiate Schools of Business — a hallmark of the world’s best business schools. 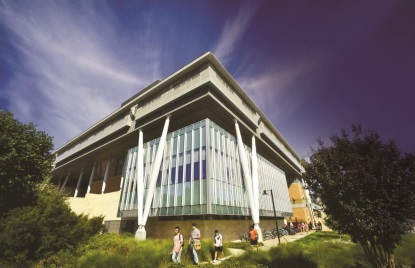 Many of our degrees and concentrations are nationally ranked, including Logistics and Supply Chain Management (3rd in integration of new technology, according to Software Advice), the online M.B.A. (21st, according to The Princeton Review), and the Entrepreneurship and Real Estate programs (both in the top 20 of programs, according to Best-Business-Colleges.com). 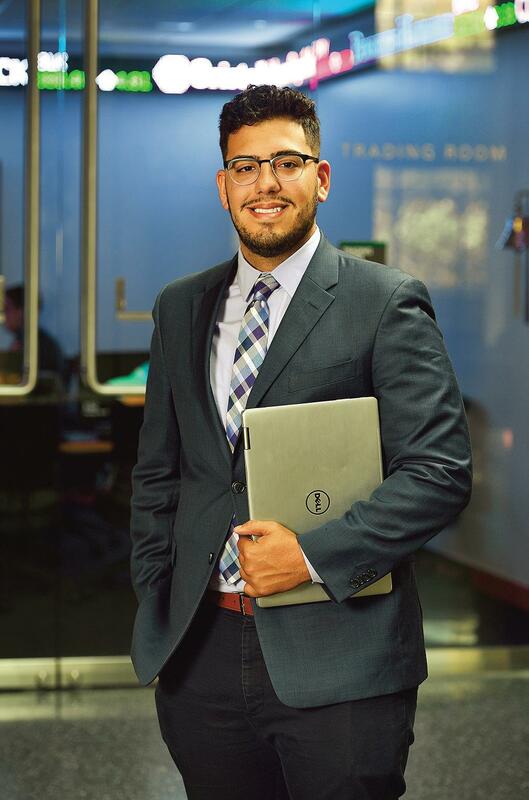 UNT business students have earned top spots in IBM’s Master the Mainframe contest for North America, the Global Family Enterprise Case Competition and TD Ameritrade’s “thinkorswim” virtual stock-trading challenge. 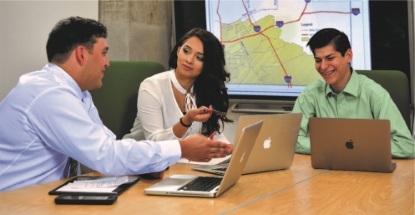 Expand your career possibilities with innovative degree options such as Sports Management, and Aviation Logistics, the only four-year program of its kind in Texas. 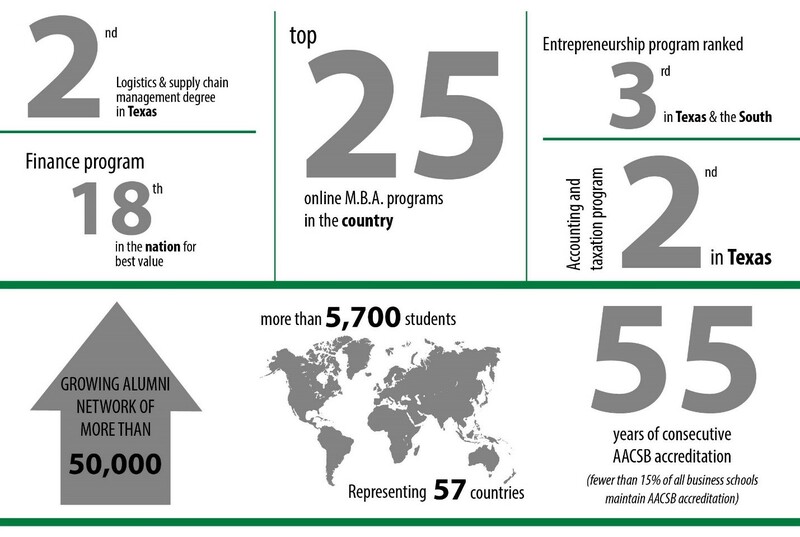 When you graduate from the G. Brint Ryan College of Business, you join a network of 40,000 alumni. More than 700 of our graduates are CEOs or presidents of organizations, such as Wilson Jones (’85), president and CEO of Oshkosh Corporation, which builds and designs heavy-duty specialty trucks and military vehicles. Our students call 57 countries home. And at UNT, you’ll have opportunities to work alongside individuals from a variety of backgrounds and experiences. Charn Uswachoke (’73 M.B.A.), chair, BBUCH Holding Company Ltd. Established in 1890, UNT is one of the nation’s largest public research universities with nearly 38,000 students. As a catalyst for creativity, UNT fuels progress, innovation and entrepreneurship for the North Texas region and beyond. Our programs are internationally recognized with research and scholarship spanning all disciplines. We offer 105 bachelor's, 88 master's and 37 doctoral degree programs.